One in five men will suffer from some kind of flaky, itchy and embarrassing problem with their scalp. And no one will tell you. Really, it shouldn’t even be an issue. Let's start with what dandruff actually is. Head shedding is a chronic skin condition caused by the buildup of yeast around the base of your hair follicles, The fungus feeds off the skin’s sebum and excretes end products onto the scalp which can irritate the scalp skin, resulting in dandruff and its symptoms like dryness, itch, and flaking. Here’s the solution: Step 1. Reserve a permanent space in your shower for specialised treatment shampoo containing micro-particles called zinc pyrithione like Gill. It’s clinically proven to help clean out the organisms that cause a dry, itchy and flaky scalp and help slow the rate at which your skin cells die and slough off. When used daily and left in for at least five minutes, the shampoo can rid a good portion of white flakes in about a month. Our no-nonsense anti-dandruff Gill shampoo and conditioner is specially formulated to make sure you’ll be flake-free from your head to your shoulders – as long as you use it regularly. We don’t mess around when it comes to conditioning and nourishing your hair either. That’s why our range uses MoistureCell Technology to leave your hair soft, shiny and free of any embarrassing flakes. We also don’t believe in that one-shampoo-fits-all nonsense. Our range is pretty diverse. So, we have the fix no matter what your hair situation – oily, dry scalp, normal, 2 in 1. You name it. So, the question is, are you no-nonsense or pro-nonsense? 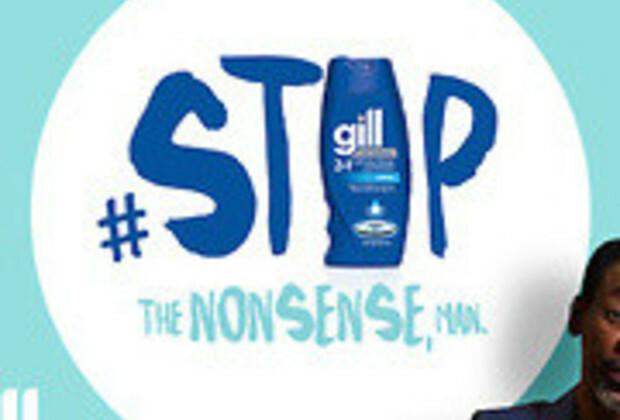 You could stand a chance to win a Gill hamper worth R500! !